The demo contracts at Beaumont Demolition are your local commercial demolition experts. 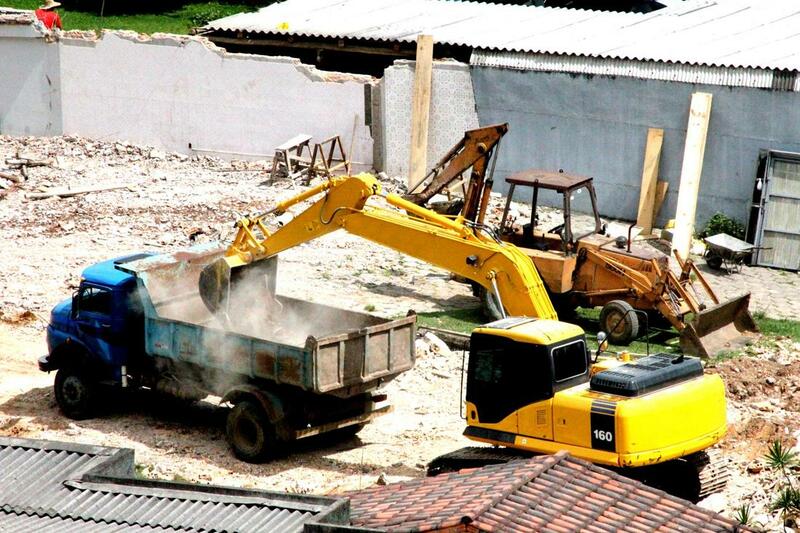 We offer complete or partial demolition services for businesses and other commercial entities. Our skills, expertise, knowhow, and passion for demolishing things (yeah -- we enjoy it) bring a level of quality to any and all commercial demolition projects all over Texas, including Beaumont Port Arthur, Lake Charles, Nederland, Orange, Vidor, Lumberton, Sour Lake, China, Silsbee, and the surrounding areas of the state. We can tackle a wide range of various sizes and types of commercial entities, including the big boys like warehouses, office buildings, strip malls, hospitals, and hotels. Your local demo contractors at Beaumont Demolition are licensed and insured to knock down even the tallest of buildings. We do this and take on more careful projects where just a part of a high rise is removed. This can be tricky and dangerous as high rise buildings are so tall out of the necessity inherent in being placed in dense areas. A tightly squeezed in demolition site is a dangerous proposition, but our team handles it with more effectiveness than the competition. Our certified demo contractors handle delicate commercial projects such as hospitals and high rise apartments, and some of the tallest buildings throughout Texas. Our team prides itself on our safety and precision. The most tricky type of demolition is interior demolition in heavy-traffic buildings that cannot afford to stay out of commission for long. At Beaumont Demolition, our team of certified demo contractors specializes in this kind of work for businesses and commercial facilities that requires the most precise specifications. We provide interior demolition services in office spaces in skyscrapers, retail stores, storage units, hospital wings, dormitories, you name it. Our projects often come the need for the most reliable and thorough job. The demand for interior commercial demolition is very high in the industry now, as many businesses and commercial entities look to upgrade their existing buildings and facilities. We do the job right, better than the competition. At Beaumont Demolition, we take our official heavy equipment operation certification and status seriously. Swinging wrecking balls around is far more dangerous in the hands of those less capable than our team. Our reputation depends on doing exactly what we say we will do. In commercial demolition, precision is particularly important. To accomplish this, our professional demo contractors use state-of-the-art demolition equipment. We use hydraulic excavators and other precision equipment to make sure we only hit our target and do not damage nearby buildings or other parts of the same building. Our precision methods also ensure a high degree of safety. Safety is our top priority, so our team of certified demo pros has developed specialized methods and techniques to mitigate the danger of demolishing tall buildings in high-traffic areas where other buildings could potential be damaged and people could get hurt. We are committed to our project sites being safe by following common sense safety regulations. In addition to safety, we care deeply for the environment. As such, we are conscious of the fact that our industry can be dangerous for the environment when working with hazards and debris. That is why we put extra effort into using ecofriendly material and equipment while salvaging or recycling debris whenever we can. We have a safety and environment assessment before each job.